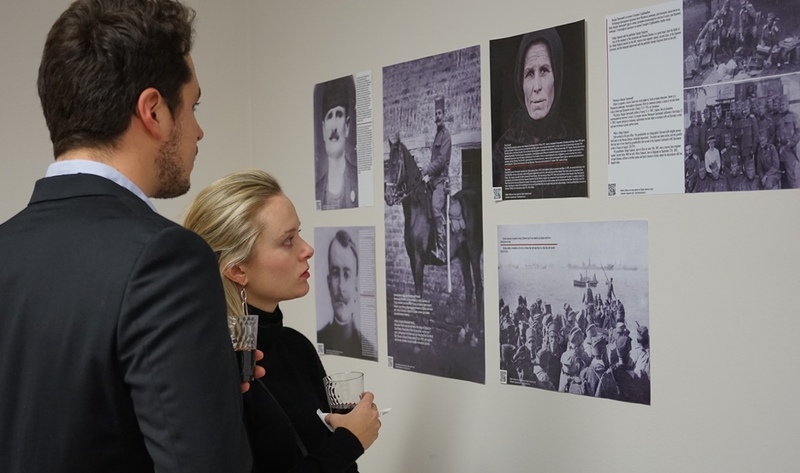 On the occasion of the hundredth anniversary of Armistice Day and Serbian-American Alliance the exhibit "Album of remembrance of our ancestors from the First World War," was held on November 10, 2018 at the Consulate General. The exhibit is recognized by the United States World War One Centennial Commission and on this occasion they issued an appropriate certificate. The exhibit was organized in collaboration with the Association of Descendants of Serbian Warriors 1912-1920. The exhibit presents photographs, war diaries, military letters, postcards, memorials and other historical material on participants of the First World War collected by the Association of Descendants. Program was opened with a showing of the commemorative video which eloquently told on the contribution of Serbia and the Serbian army in the First World War, as well as heartfelt thanks of US President Wilson to Serbian people. In their addresses Acting Consul General Dejan Radulovic and Aleksandar Vasilic from the Association of Descendants of Serbian Warriors expressed the respect and paid homage to the brave Serbian soldiers and all Serbian victims of the First World War. On this occasion, special honor and memory was paid to thousands of Serbian volunteers from America who were participants in the First World War. Following that, Milenko Sisarica from the Serbian Theater in Chicago recited the poem "Blue Tomb" by Milutin Bojic. During the exhibit, a video was shown prepared by the Association of Descendants of Serbian Warriors. A student in the Serbian folk costume handed the lapel pins of Natalie’s Ramonda to all guests. 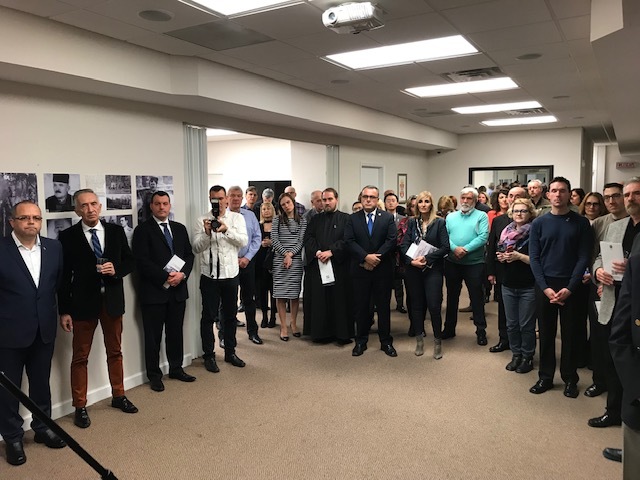 The opening of the exhibit was attended by representatives of American institutions, members of Chicago Consular Corps, as well as representatives of Serbian organizations and members of the community. The exhibit will be open at the Consulate General until November 21, 2018 every working day from 11 am to 3 pm. If interested in visiting the exhibit it is necessary to notice the visit via e-mail of the Consulate General. In honor of the Armistice Day on November 11, 2018 in Chicago a performance of "Serbian Ramonda" was presented at the Irish-American Center, was performed. Participants of the show are actors of the Serbian Theater in Chicago and members of the folklore ensemble "Oko Sokolovo" from Chicago. The performance was written and directed by Milan Andrijanić from Chicago. Acting Consul General, Dejan Radulovic, was present on behalf of the Consulate General.